2011 False-Flag Terror in Norway? 2013 Did Lee Rigby exist? 2015 Bataclan concert: did it happen? 7/7 Inquest: Was someone afraid to reveal the causes of deaths? Tafazel Mohammed – Handler of the Four? The British Army’s FRR Go Through The Looking-Glass? CCTV: Did police search Luton before King’s Cross? Can a song be a Crime? Did ‘Satanic’ Powers Conspire to Perpetrate 7/7? Books submitted through KDP need to comply with our content guidelines, which apply to the book interior, cover image, and or product descriptions. The book was up for several months as a Kindle book and then for one month as a paperback, before being banned. Trump Stops Two Wars – shock Xmas surprise! Jim Fetzer's The Real Deal. 18 March 2011. Topic: Muad'Dib and 7/7. Jim Fetzer's The Real Deal. 5th Nov 2010. Topic: The 7/7 Inquest. No Lies Radio (Kevin Barrett). 6th Feb 2010. Topic: The Christmas Bomber story (2009). Fetzer Radio (James Fetzer). Jan 22 2010. False Flag Terror in London, 1994 Israeli Embassy. No Lies Radio (Kevin Barrett). 24th Nov 2009. Topic: July 7th Terror on the Tube. Power Hour Interview + phone-in with Joyce Riley. (17th Nov 2009). Topic: False Flag Terror and July 7th. Fetzer Radio (James Fetzer). Dec 4th 2009. Topic: 9/11 & 7/7 Compared. Rense Radio (Jeff Rense). Nov 5th 2009. Topic: From Guy Fawkes to 7/7, British False Flag Terror. "This important book tears to shreds the official explanation of the 7/7 bombings. 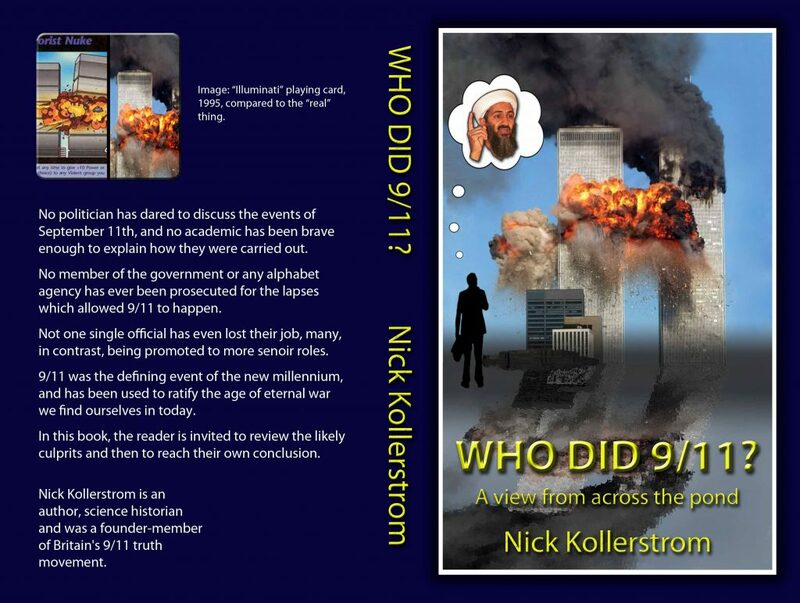 Kollerstrom presents a detailed analysis based on a wealth of information that is staggering in its implications. The government story is demolished."